Beautifully appointed 2 bed/2 bath waterfront unit facing the common area featuring views of the water and beyond. Newer flooring, updated kitchen, recessed lighting, washer/dryer, fireplace, master suite and built-in bookcases. Living room and bedrooms are adjacent to an outdoor patio. This HOA also offers a pool, clubhouse & tennis court. 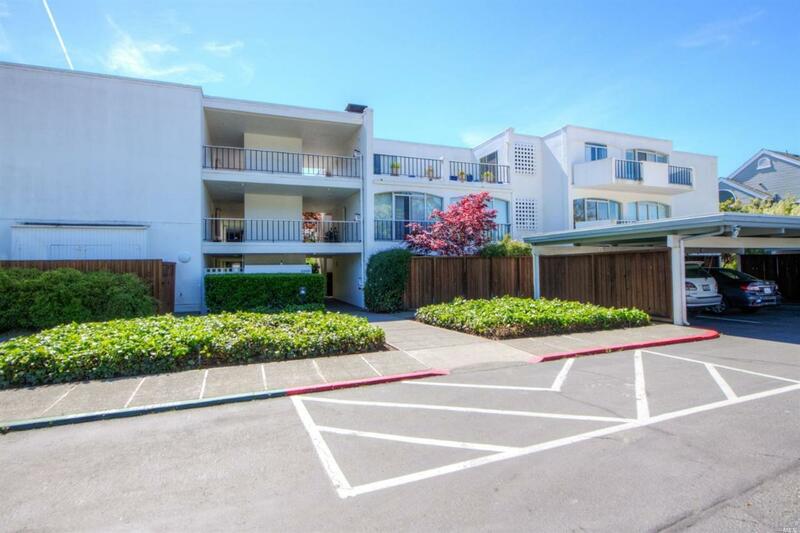 Close to HWY 101, shopping & walking paths. Seller will pay special assessment at closing. Listing courtesy of Adrienne Murphy of Golden Gate Sotheby's International Realty.